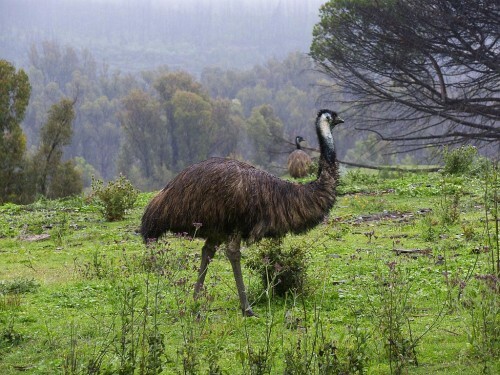 Get to know about the large flightless birds with pictures, descriptions and videos. 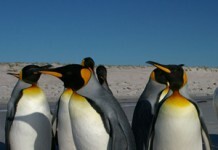 A flightless bird is a bird which cannot fly and depends upon its ability to walk, run or swim. 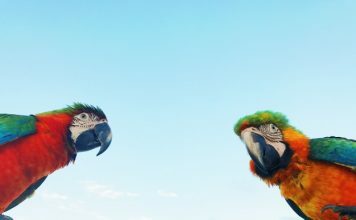 The two major differences between flying and flightless birds are that their wings are smaller in size as compared to that of flying birds and the keel (a bone to which muscles needed for flying are attached) is slightly reduced or absent in them. Ostrich is the large flightless bird found in Africa. Its diet comprises of insects and some plants. They have no teeth. The colours of ostriches differ from male to female. 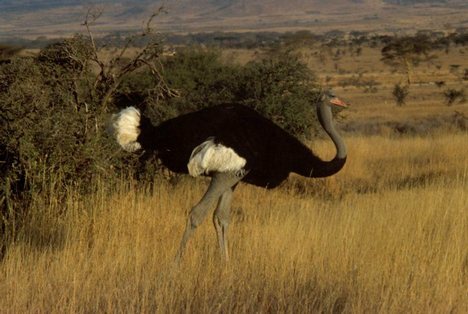 The female ostriches have greyish-brown and white feathers while the male ostriches have black and white feathers with a white tail. They have a long bare neck covered with a thin layer of down feathers. Their legs are very long and feet strong enough that it can attack its enemy with a kick. Emu birdis the second large flightless bird in the world that is found in Australia. They can run and swim. 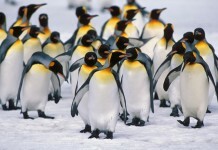 They are found in grasslands and savannas in the form of flocks. They feed on plants and some insects. 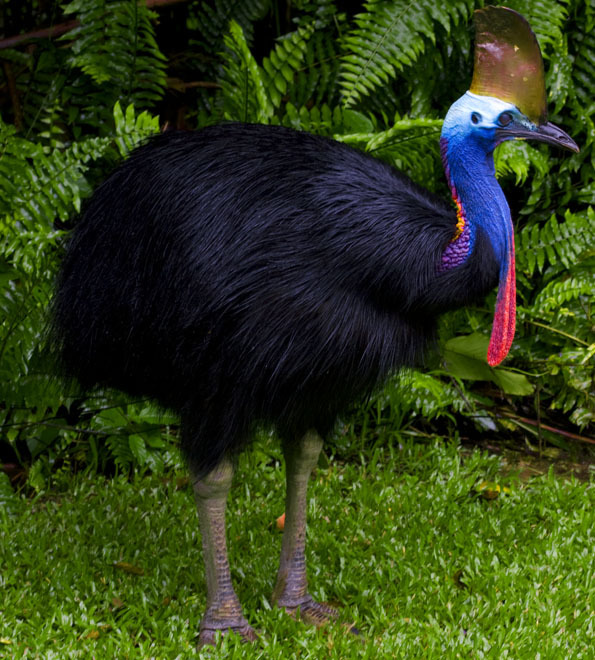 Cassowary is the third large flightless bird with small wings found in northeastern Australia. They can be identified by a head without feathers and a characteristic bony structure named as horny crest which is present on their head. Their legs are very much powerful and their feet are very strong covered with three toes having sharp claws used as primary defense organs. Kiwi bird is a chicken size insectivore flightless bird. It is found in New Zealand. It has a long pointed bill, small wings which cannot be used for flying. Kiwi birds have characteristic short legs with sharp claws which are used for running and digging the ground for their food i.e. insects etc. It is commonly found in forests, farmlands and grasslands. 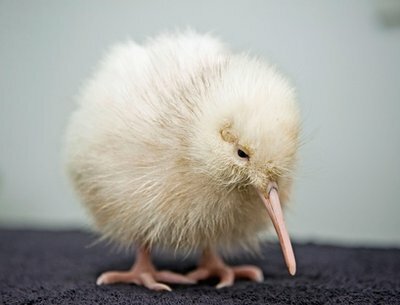 Here at birds flight we have huge collection of beautiful kiwi bird pictures. 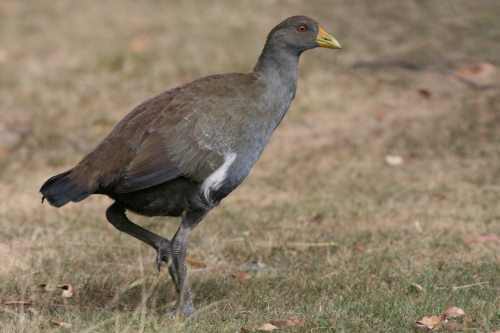 Tasmanian native hen is a flightless bird found only in Tasmania. It has a large and heavy body. Its bill is large and yellow in color. The head and back of the Tasmanian hen is covered with brown feathers whereas the under parts of the body is covered with grey feathers. Its eyes are red in color. The legs are powerful and grey in color. They are mostly found in damp habitats particularly in pastures, dams, swamps, and rivers. 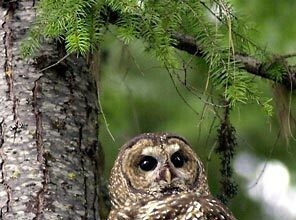 They feed on vegetation, leaves, seeds and insects. 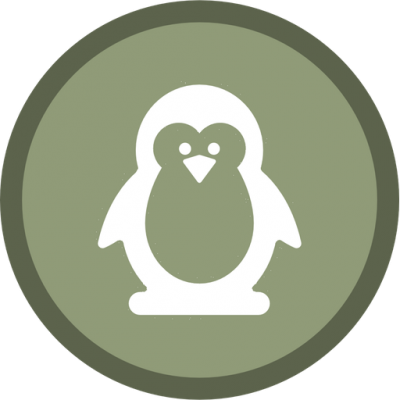 Penguin is a flightless bird found in southern hemisphere, especially in Antarctica. 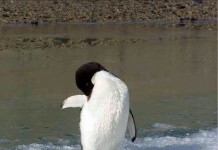 It is an aquatic flightless bird having flipper like wings which help them in swimming rather than flying. 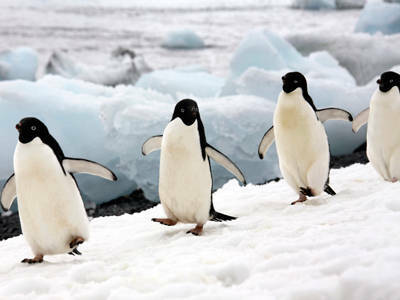 Penguins have dark and white feathers .They feed on fish, squids and other aquatic animals. A funny cartoon story of a flightless Bird.